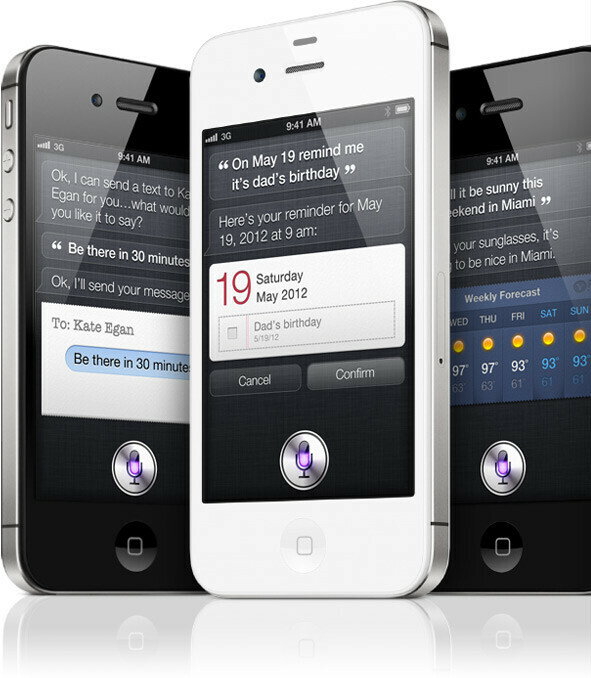 Undeniably, during its iPhone 4S announcement event, Apple wanted to get one major point across – that Siri is the most significant and impressive new feature in this new iPhone. And impressed we are – Apple's Scott Forstall pulled off one helluva promising demo at yesterday's “Let's talk iPhone” event, introducing what might turn out to be the most sophisticated and capable voice control service ever. We wanted to spend some time thinking about this new service, analyzing what it actually is, what it still isn't, and maybe even throw a quick glance forward, trying to predict if it would prove to be a hit with consumers. 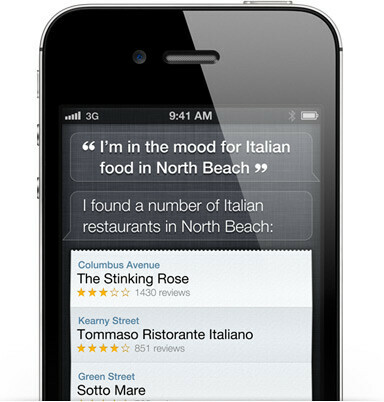 It sure looks like Apple has some grand plans for Siri. Not only has it been the focus of yesterday's presentation, but it'll also be launched as a beta service, with Apple promising to update it with support for more languages (only English, German and French are supported right now), as well as integrate it with more services, expanding its capabilities. But what exactly is Siri, and what will we, regular users, be able to use it for? It turns out Apple wants us to see Siri as something more than a simple voice control functionality. After all, the iPhone already featured basic voice controls. This time around, however, Cupertino is aiming for something bigger – it's trying to create a personified digital assistant, living inside your gadget, kind of like in Sci-Fi movies. It's a character that will be able to take control of not only your basic phone functions like calling and texting, but also its advanced abilities to look up info on the web and fetch it to you, provide you with suggestions for nice restaurants in the area (courtesy of Yelp), tell you if you should get a raincoat today... The best part is that you won't need to use a number of specific phrases for it to understand you. According to Apple (and the live demonstration they offered), Siri is capable of understanding the context behind your words. So, for example, if you want it to tell you what the weather is today, you can ask “What's the weather like today?”, but you might as well go for “Is it going to rain today?”, and in both cases, Siri will bring up today's forecast. But let's try to illustrate how the feature works with a scenario of our own. Say, you're at home, and you suddenly receive a new text message. Now, of course, you can just reach for your phone and read the message, but how about just holding the home button down, until Siri is activated, and saying “Read my new message!”, which will be followed by Siri's predominantly robotic female voice reading your latest message aloud. In this case, it's up for debate which method, the old or the new one, of checking you message will be faster, but with the next examples, it becomes evident that you can save quite some time and effort by using Siri. Let's say that the message was from a friend called Mike, and read “Let's have dinner at 7PM?”, but you don't remember if you had already planned something for 7PM. What you'll have to do is just tap on the mic icon, which will be visible, because you've already activated Siri by holding down the home key, and say “Do I have any appointments for 7PM today?”. Alternatively, you could say “Do I have something planned for 7PM today?”. In both cases, Siri should understand that you want it to check your calendar and tell you if you have any appointments set for that time. For the purposes of this scenario, you won't have any appointments set, and Siri will respond accordingly. Next up, you'd like to add that dinner as an event in your calendar. You can now do that all by using your voice, with a little help from Siri. All you have to do is tap on the mic icon and say “I'll have dinner with Mike today at 7PM.” Upon saying that, Siri will simply add your appointment in the calendar, without you doing anything else. Setting calendar appointments and reminders just got way easier, eh? Next up, you may want to check what the weather's going to be tonight, so that you know what to wear. Instead of going to the homescreen, and launching the Weather app, you can simply tap the mic icon again and say “What's the weather going to be tonight?” - Siri will tell you what the weather's going to be, as well as bring up an hourly forecast. Finally, you'd want to actually respond to that message, so that your friend Mike knows if you're going to have dinner with him. Note that you don't have to say something like “Send a text message to Mike, telling him that I'm available for tonight.” Nope. It looks like Siri will have a little brain of its own, so it will remember who sent you the last message, and thus, you'll only have to say “Reply – Sounds good!” Since voice recognition has never been perfect, and neither is Siri, it will bring up your response, the way it heard it, and ask you if you want to send that message. Then, all that's going to be left to do is to mutter “Send”, and you're done. Reading about this might make it sound like a slowish process, but in really, it will happen pretty fast. Most probably way faster that doing it the traditional way, involving going to the calendar to create an appointment, using the on-screen QWERTY to type, etc. Speaking of the QWERTY keyboard, now, with the help of Siri, you'll be able to use your voice to dictate text whenever that keyboard pops up, awaiting your input. Naturally, we shouldn't expect Siri to be perfect. First before most, we're far from thinking that it will understand our words correctly all the time. We guess there will be many failed attempts, which might even drive us crazy at times, especially if we aren't articulating in the best possible way. Imagine appointments being set for the wrong time, or incorrectly transcribed messages – you'll have to do the same actions multiple times, which would be an annoying experience indeed. Right now, language support is a bit limited. At first, Siri will know English, French and German, which isn't that bad, but the omission of widely-used languages such as Spanish, for example, is something that should be dealt with quickly. Finally, although it does seem like Siri will be able to go pretty deep into iOS's various functionalities, Apple itself admitted that you won't be able to ask about everything, so you won't be able to do everything just by using your voice. In addition, by the looks of it, at least for now, Siri will be integrated with iOS's built-in apps only, and developers won't be able to use it for their third-party apps. This means you won't be able to create notes in Evernote by voice, or you won't be able to update your status through the Facebook app. But our guess is that when the right time comes, and if users happen to adopt Siri, Apple will open it for integration with third-party apps. On the matter of user adoption: there have been a number of attempts at voice recognition, but none of them have tried to come this far, and be that sophisticated. What Apple is doing here is to not simply provide users with comfortable and usable voice controls, while they are using a hands-free, but devise a whole new way to interact with the phone, which is something really big. Still, Siri, the so-called humble personal assistant, isn't looked upon as being all that important yet. That's because we all have our habits deeply rooted inside us. Even with such a profound voice recognition service on board, most of us will still reach for the calendar app, in order to add an appointment, or open the browser, in an effort to look up a word. But if Apple pulls this one flawlessly, many users will gradually learn about, and eventually switch to the new, voice-based way of interacting with their device. The benefits are obvious – saving time and effort on the user's side. And who knows, maybe we'll soon be walking down the street, giving instructions to our phones, without all the people around thinking there must be something very wrong with us. Watch your step apple. Youve made buko bucks by apealing to the tech impared with simple user interfaces. Granted this is the easiest and possible the best voice system to date..... but is your market of hipster, slang speaking youngsters, and oldies that want something simple going to adapt so well to this... or just see it as a hassel. This is more or less something that would mean alot more to android users. Maybe this wasnt the right basket to put all your apples in to... Awesome leap forward... just watch out for that ledge.. I know but it is a good feature nevertheless, I thought the iPhone 4S was useless until i saw this..
Hey Buddy... IT IS NOT EXCLUSIVE TO 4S... It is a feature of iOS5... That means previous models will have it. I've had something similar on my Samsung Galaxy S2 since June: "Voice Talk". To be honest, it's more of a gimmick than really useful - perhaps if I used a car more often. Most of the time I'm either in the office, outside, or in public transportation, so not too many opportunities to use it really. The best use i have found with voice talk is the auto google search by voice when you hold down the search button. That one feature gets some people drooling over droids when them come to look at phones. Toss in the "navigate to" on non bing droids and it automaticly kickes in the navigation to where ever you said. Biggest downfall... more so than not, people are dumb googlers. iPhone requires very little I.Q. to do what little it can do.. For the droid users, we can turn our phones into classic game consols hooked up to a tv useing wireless remotes. People are (hopefully) getting smarter, and thus apple, you better start stepping up with some amazing sh!t that follows your proprietary mind set to keep your loyalty where it needs to be. You've done a great job planning for the future, but will the lifeline mirror that of your computer business? If the ipod,pad,phone saved the your computers, whats going to save the iphone in 5 years? Yes, it does, but in the iPhoneArenda world, features don't really exist until Apple gives it a TRENDY NAME. wow this software update should say android 2.3 lol. copying everything from android. the iphone is for trolls. This sounds like HAL 9000 from 2001 A Space Odyssey. One day Siri will tell you to f*ck off. lol No I don't want to set that appointment. No you type that text message...... nah just kidding. There are rumors that Android Ice Cream Sandwich will have an even better voice recognition software. We all know Google is the leader in voice recognition & I am excited to see what improvements Android Ice Cream Sandwich will make to that! I really think I am just going to buy the Google Nexus Prime. I love my HTC Evo 3D but that Super AMOLED HD screen has me mesmerized, I dream about that screen. lol Also if indeed the 1.5 GHz Exynos chipset is included then I WILL get that phone plain & simple! Hey I can always sell my HTC Evo 3D on Craig’s List for $200.00 or more! Hey that is fine with me, with the extra money I may buy a 64GB Micro SD Card, that would be cool! I would essentially trade phones & get the micro SD card for almost free. I would love to get my hands on the Google Nexus Prime, especially if it has the rumored 1.5 GHz Exynos processor. My wife's Samsung Galaxy S II Epic 4G Touch's 1.2 GHz Exynos processor is the most beautiful piece of technology I ever had the grace of using. Facial recognition in its current form will not be able to track movements of the mouth to accept commands. Who knows, maybe they develop this after a while, but don't expect it anytime soon. Let's wait until Android Ice Cream Sandwich comes out. You maybe 100% correct. I would rather wait until next week to make my final comment. The funny thing about the facial recognition is, like the 2.3, it will probably not work and cause a crap load of issues. I would love to troubleshoot those issues when it releases to the Verizon droids. It will just bring back the memories of 2.3 release date. Taco, I really dislike Apple, but I too am getting tired of the sheer number of fanatic Android users here. Nobody is looking at anything objectively and I feel like my f---ing IQ is dropping simply from the frustration. Penny, taco50 had this coming. Just talk to anyone here on PhoneArena.com you will see. Objective is definitely what taco50 is not! 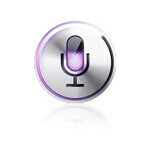 Let's be honest remix, Apple's voice controls are a lot more robust than Google's. Google can't make calendar appointments or comprehend everyday language. Apple by the way has had voice controls since 3GS. I was really excited for an iPhone 5 release, so Apple only releasing the 4S was pretty disappointing. Apple has seriously failed this time...No 4"+ screen, no 4G, no NFC! Apple is beginning to sell based upon brand and not their product. I mean seriously, there are at least 3 other phones that have better specs than the iPhone 4S...and they've been out for months now! 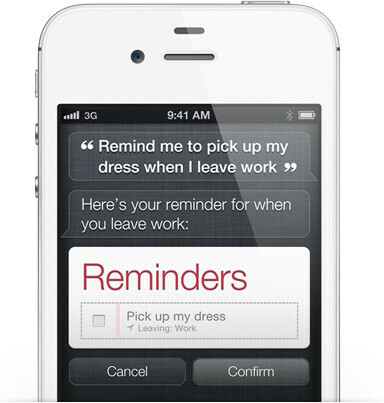 I think "Siri" looks nice and sounds good but really, who is gonna actually use it on a day-to-day basis? Can't wait for the Nexus Prime now! Doesn't WP7 Mango do all this already? ?....What about Vlingo??? I'm really impressed with Apple's Siri assistant. I have to admit it's way ahead of what google has. The only two things Siri really has above traditional voice recognition are its memory and ability to pick out the key parts of a phrase and match it to a preprogrammed response. It's still a simple matter of programming multiple pathways to the same reaction, so the "context" feature isn't magic and can easily be introduced in Google. Google's addition, of course, would be to make a "Siri" like "personal assistant" which is customizable and has a personality. For instance, it allows you to create your own name by typing it in and then telling the phone how that name is pronounced. Then you can activate the whole phone simply by speaking your assistant's name. And sometimes the assistant may get snarky with you (an option you can turn off) but still do what you want. well wouldn't that make google a copycat? Only if yanking over the air updates, wireless activation and drop down notifications from Android makes Apple a copycat. What was that percentage again, Taco? Was it 52? Or are you ready to admit that you were not only wrong, but an arrogant douche about being wrong?